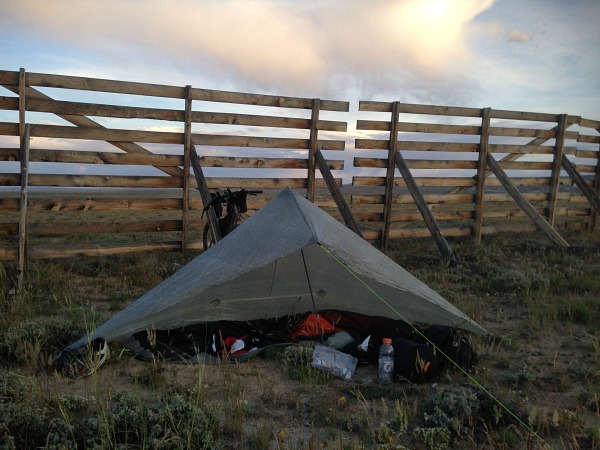 This page is a resource to get you started with bikepacking. There are links to gear setup posts, other bikepackers, and gear sites. Bikepacking is simply camping by bike. 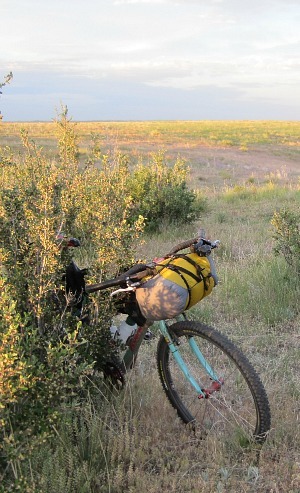 My current bikepacking setup – setup as of July 2011 but it has evolved since then. 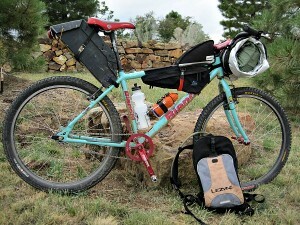 Full suspension frame bag – Make an existing bag work for a Yeti 575 frame. NoLogo hydration bladder frame bag – Store your hydration bladder in the frame bag and not on your back. Make Your Own Gear – Coroplast seat bag – All of those political signs can actually be put to good use. 3 easy and inexpensive ways to save weight on your bikepacking setup – simple ways to lighten your bikepacking kit without spending a lot of cash.